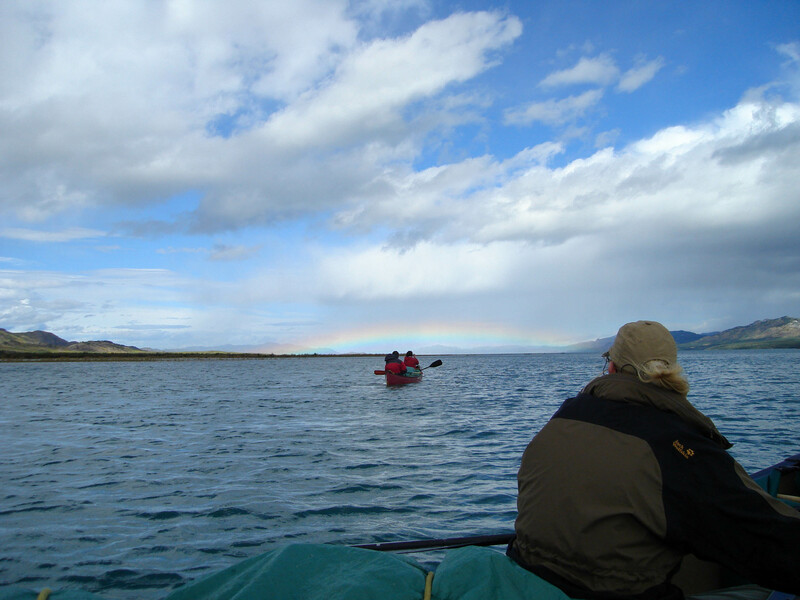 Travel the length of Yukon’s most iconic river in a classic tandem canoe. 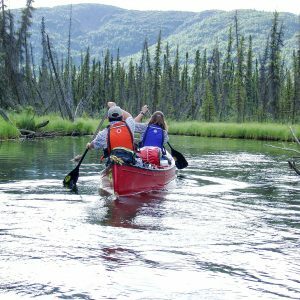 Retracing the route the thousands of gold- and adventure-seekers who rushed to Klondike in the famous spring of 1898. 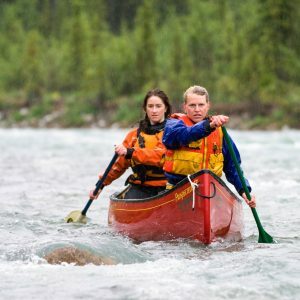 With a small group and experienced guide, you will paddle all of the 730 kilometres between Whitehorse and Dawson City. 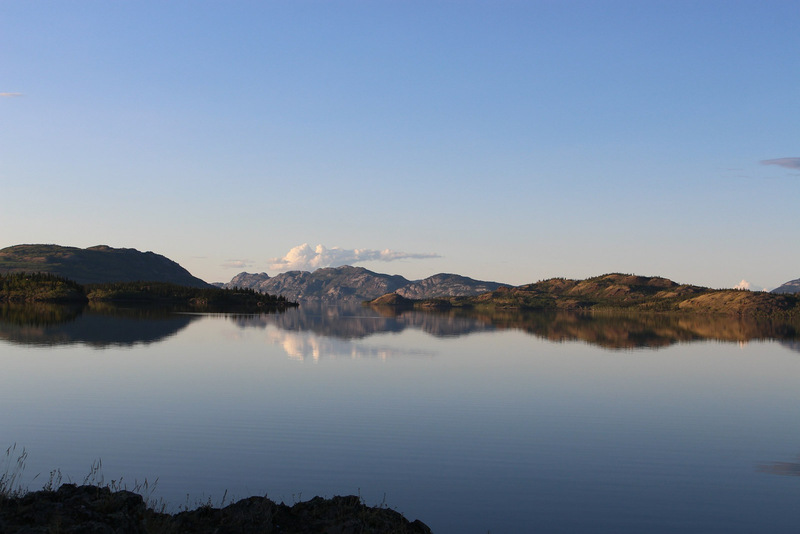 Travelling more than two weeks through a wilderness of Yukon proportions. 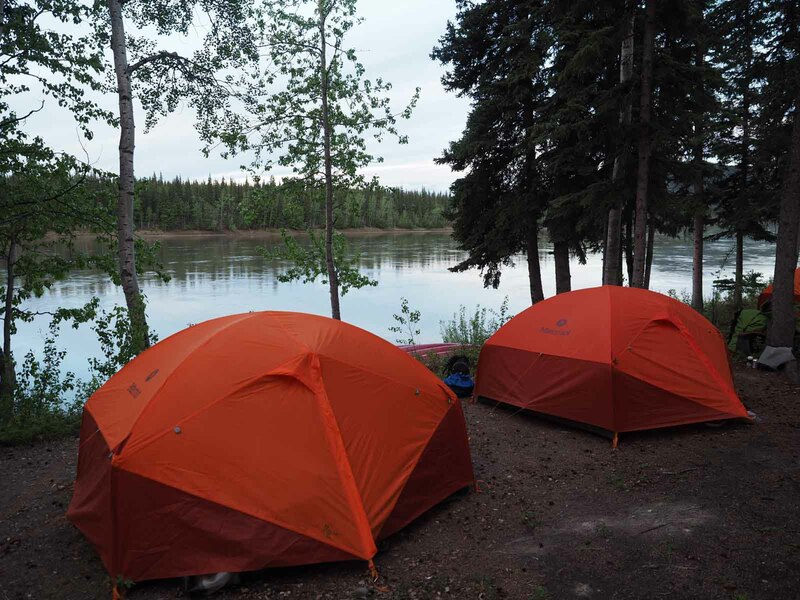 Apart from a one-day layover to re-supply at the town of Carmacks, we will be camping on gravel bars and forest clearings along the river. Sharing campfires and hot meals in our well-equipped wilderness camps. 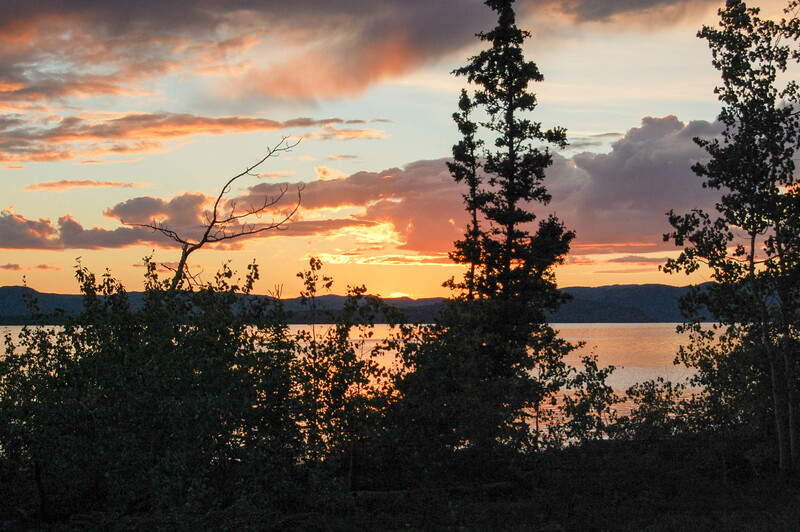 Our expedition visits historic ghost towns at Hootalinqua, Big Salmon, and Fort Selkirk, where members of the Selkirk First Nation generously share some of their knowledge and stories of the land. Our final destination is Dawson City. 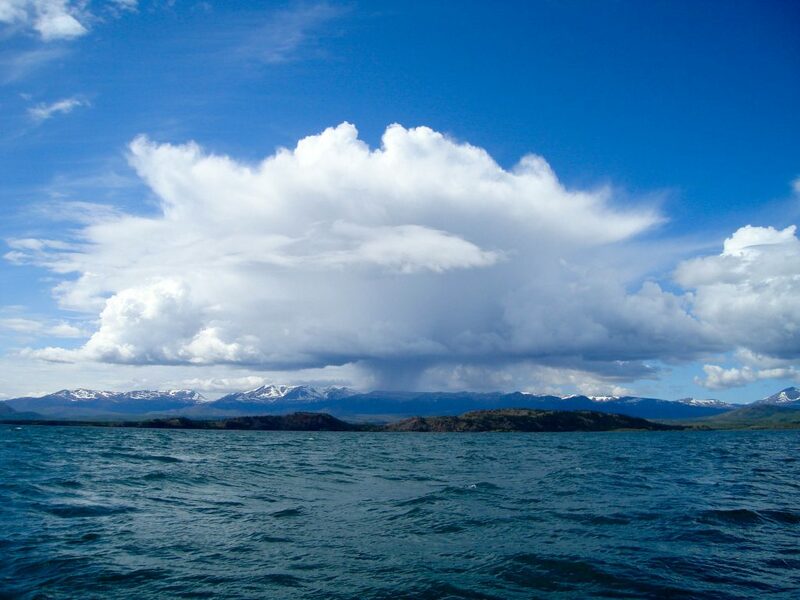 A hotel room and two days of fun in gold rush capital are waiting here for you. 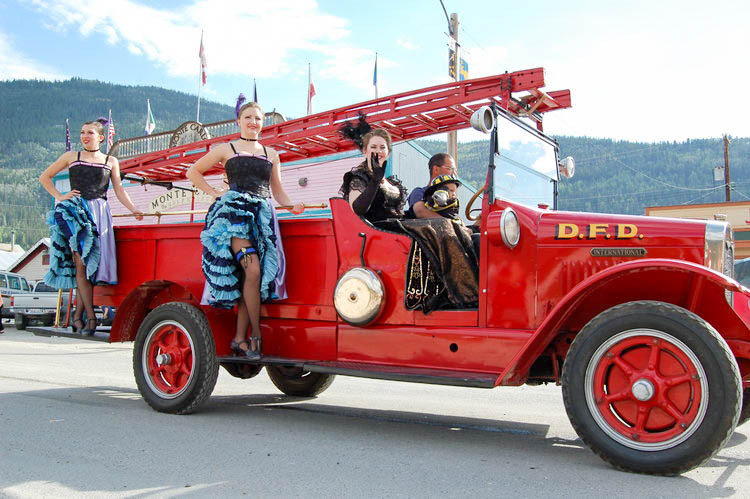 We have a full day to experience Dawson City today. 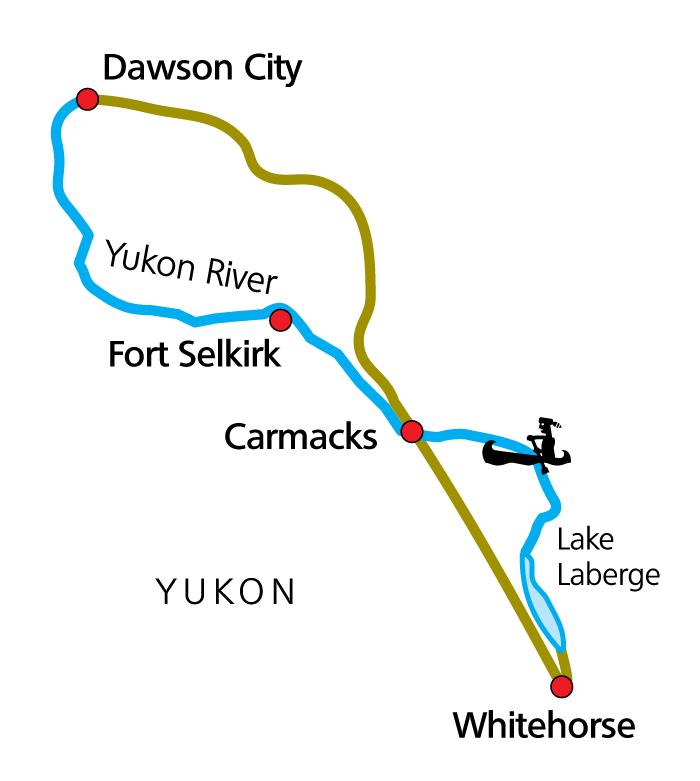 Included in the program is a visit to Gold Bottom Mine. 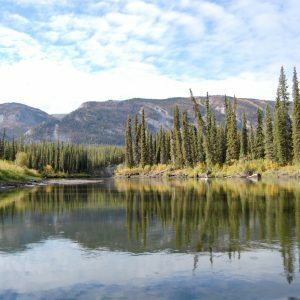 A tour of this working placer mine will introduce you to the history of Dawson’s famous gold fields, and show you how today’s family-run mines continue to search for the precious metal. 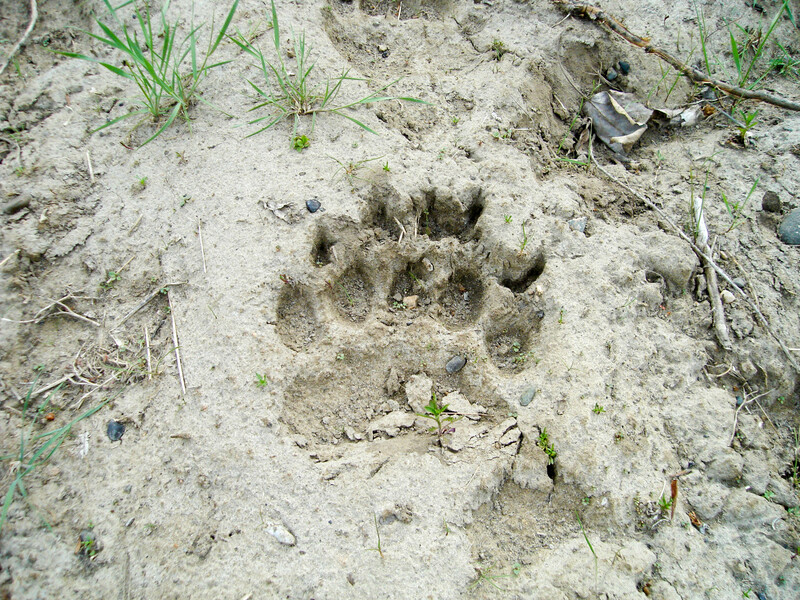 You’ll have a chance to try your hand at panning your own pay-dirt, too. 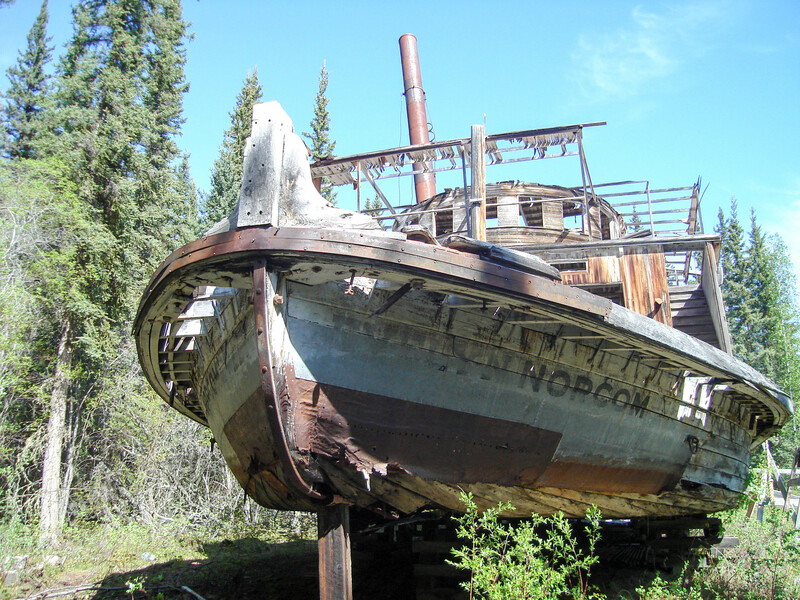 We may also pay a visit to Bonanza Creek, site of the great gold strike and home of restored Dredge #4. The rest of the day is free to explore the town itself. 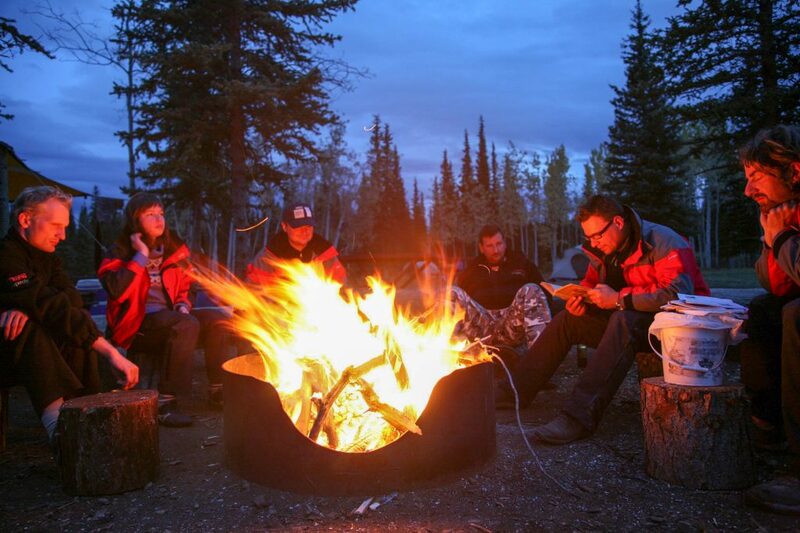 Depending on the time and the group’s interest, we may visit the cabins of Jack London and Robert Service, the Dawson City Museum, the Danoja Zho Cultural Centre, or take a walking tour of the town’s many historic sites. 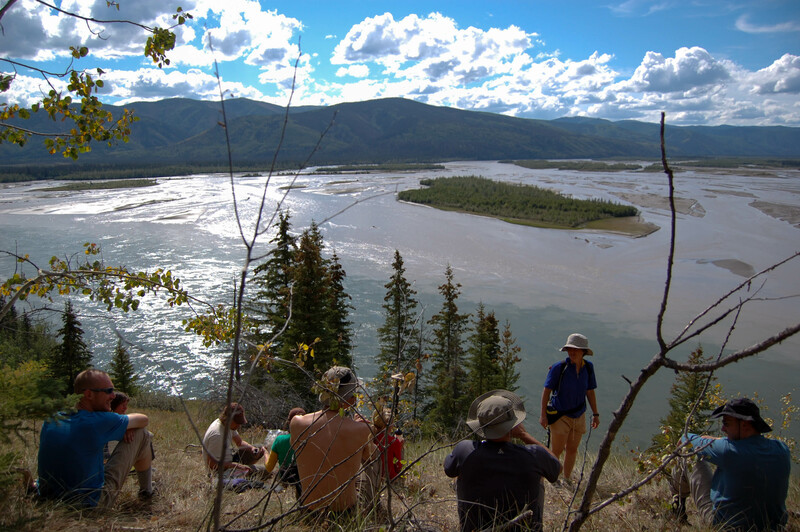 We will also take a drive to the top of the Midnight Dome, the mountain that dominates the town, where we can see Dawson City, the gold fields, the distant Ogilvie mountains, and the river we have just travelled spread out in an extraordinary panorama. We’ll cap it all off with a night on the town and a visit to Dawson’s famous gambling hall, Diamond Tooth Gertie’s Gambling Hall. 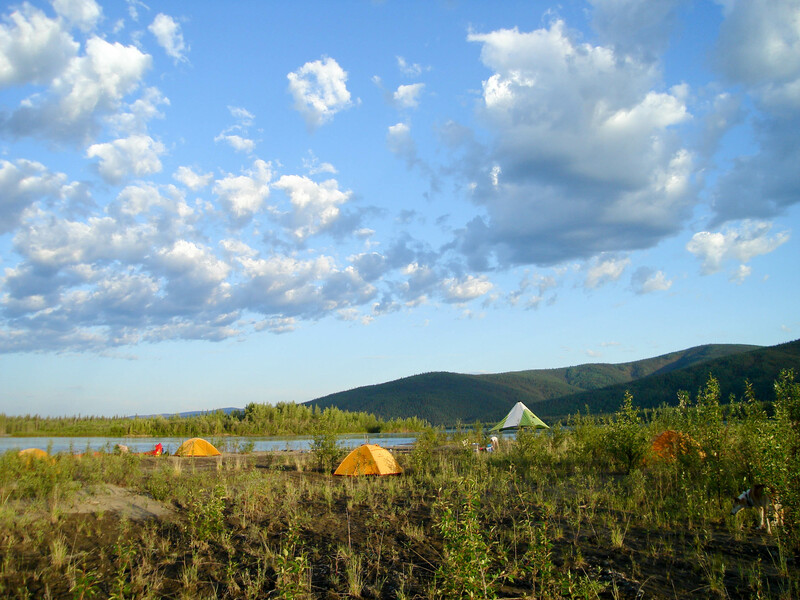 (Overnight accommodation in Dawson City). 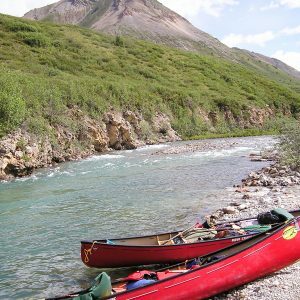 We will return to whitehorse by van, via the Klondike Highway, stopping to revisit the Five Finger Rapids at the scenic overview, before returning to Whitehorse for a last dinner together and another night in a comfortable hotel. 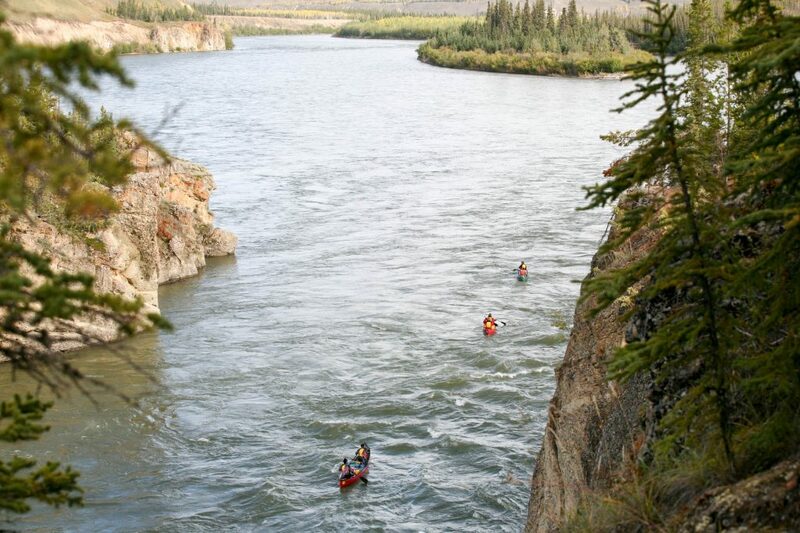 (Overnight hotel accommodation in Whitehorse).